Iran’s Attorney General warned Iranian people that they could be prosecuted for their reporting on the flood that has resulted in dozens of deaths and destroyed homes and infrastructure in more than 25 provinces throughout the country. “In the first stage, the sources of the publication of false news should be identified and when identified, they will be dealt with,” he went on to add. 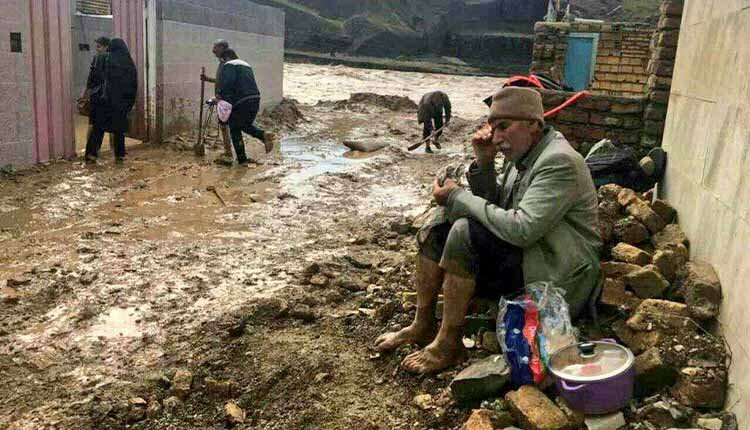 While Interior Minister Abdolreza Rahmani Fazli complained about reports on social media showing government incompetence in dealing with the flood in the northern province of Golestan. The starkest warning was also echoed by the state’s cyber police force, referred to by the acronym of FATA, on March 27, 2019. This is while the heavy rainfall that began on Sunday, March 17, 2019 in the northern cities of Iran, caused the cities and villages of provinces like Golestan, Mazandaran, Northern Khorasan and Semnan to become engulfed with water due to the devastating policies of the Iranian regime in response to natural disasters. Many Iranians lost their lives or their belongings at the beginning of the Persian New Year. Tens of thousands became homeless and many people are faced with heavy financial losses in these provinces. Dozens of villages have gone underwater, and thousands of people are spending their terrible days without any shelter in this bad weather conditions. The regime, however, has tried to cover up the extent of the devastation. It has been reported that journalists have been blocked from entering hospitals so that they cannot write or speak about the number of killed or injured.Tehran, the nation’s capital, is about to face a crisis because of the rising water levels. The city, which is home to 9 million people, is being spoken about widely on social media.